Give our most popular Riesling option with a unique personalized message! 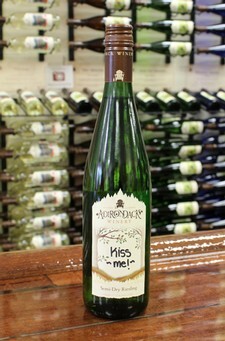 Personalize a bottle of Semi-Dry Riesling with a handwritten message on one of our special labels! The perfect way to say "Happy Holidays", "Thank You", "I Love You," "Happy Birthday" or any message you want to say to the special people in your life!